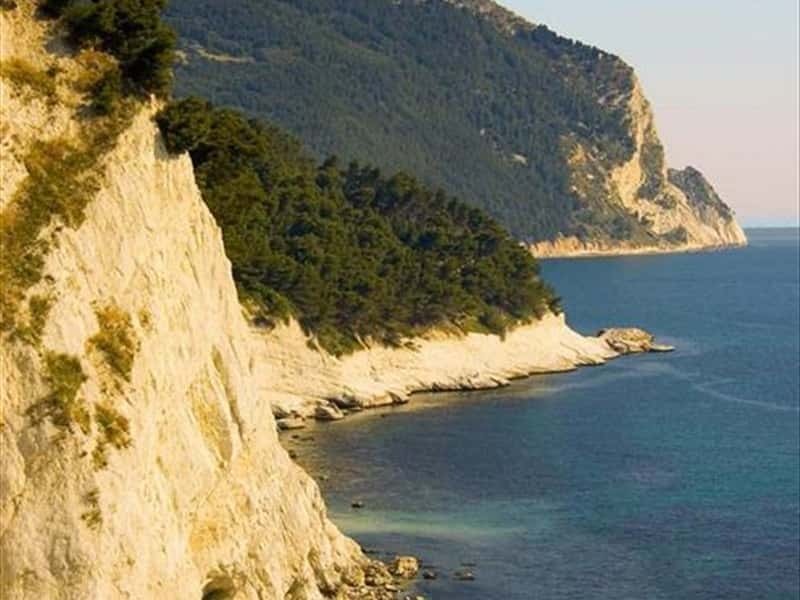 The Marche region has 180 km of coastline, from the promontori of gabicce Mare to the mouth of the Tronto river; it is characterized by a spectacular alternating of gravel, sandy and rocky beaches, which become long and thin in the North of the region. Without forgetting the high number of Blue Flag beaches, thanks to the excellent quality of the marine water in this area. Gabicce Mare, Fano and Pesaro, famous seasides, are characterized by long and sandy beaches, offering a calm vacation also to inexperienced bathers. Along the way to Ancona there is Senigallia, Galli Senoni's ancient capital, and now famous all around the Europe for its candid and fine "velvet beach". Finally, do not miss to visit the "green picena riviera", from Porto Sant'Elpidio, Lido di Fermo, Porto San Giorgio and Pedaso, and the exotic "palm riviera", among Cupramarittima, Grottammare and San Benedetto del Tronto, with its over 7000 palms, candid and fine beaches that slope into the sea. This destination web page has been visited 142,293 times.